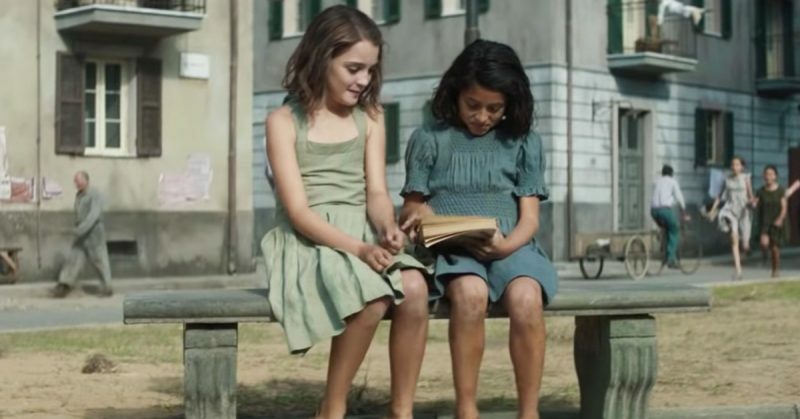 HBO has released an official trailer for its upcoming limited series My Brilliant Friend. The series was filmed in Italian by directorSaverio Costanzo, based on the bestselling book of the same name by Elena Ferrante, which chronicles how the life-long friendship between two girls evolves over the course of time. You can check out the trailer in the post below! My Brilliant Friend tells the story of Elena Greco, a now-elderly woman immersed in a house full of books. When the most important friend in her life seems to have disappeared without a trace, Elena turns on her computer and starts writing the story of their friendship. She met Raffaella Cerullo, whom she has always called Lila, in the first year of primary school in 1950. Set in a dangerous and fascinating Naples, their story goes on to cover more than 60 years of their lives as she tries to describe the mystery of Lila, Elena’s brilliant friend — and in a way — her best friend, and her worst enemy. The production’s construction team of 150 crew members has created 215,000 square feet of sets, which were built over 100 days. To recreate the neighborhood, the symbolic location of the story, they built 14 exterior apartment buildings, five interior sets of apartments, a church, and a tunnel. The costume department is gathering 1,500 costumes, many of which are originals. My Brilliant Friend is produced by Lorenzo Mieli and Mario Gianani for Wildside and by Domenico Procacci for Fandango in co-production with Umedia Production. All episodes will be directed by Costanzo, with story and screenplays by Elena Ferrante, Francesco Piccolo, Laura Paolucci, and Costanzo. Jennifer Schuur is the executive producer. FremantleMedia International will act as the international distributor. The post My Brilliant Friend: HBO Releases Trailer for Limited Series appeared first on ComingSoon.net.